Ooooo…best in the world! I would say none – Sibu, Kuching, KL, Vietnam…anywhere comes close, not at all or at least, to the ones I had had in KK. They say it’s buffalo…but never mind what – it does not change the fact that it is so very awesomely nice. Too bad Ling doesn’t like beef. 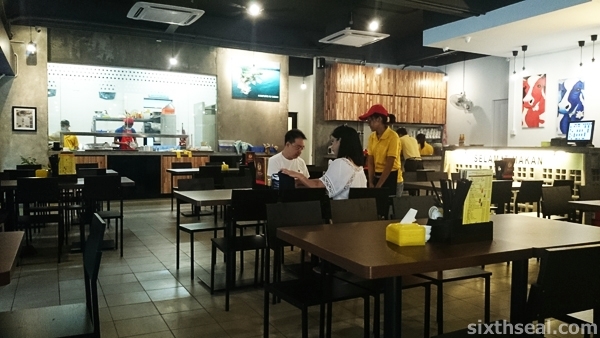 Some people prefer the ones at Penampang though – but not me. Bigger slices of the beef steaks, yes…but with too much salted veg…and that drowns out the wonderful beef flavours – not my favourite. 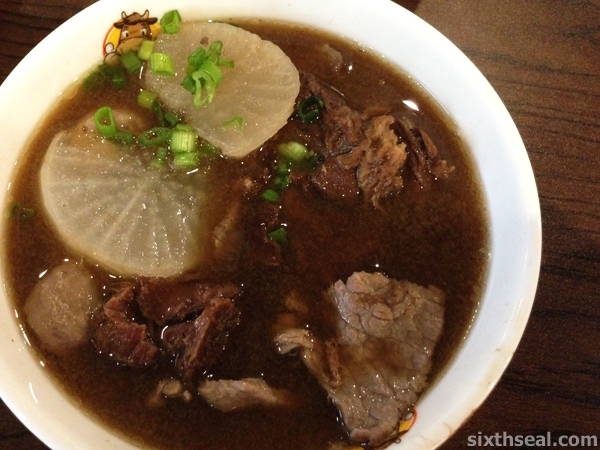 I would say the beef noodles I’ve had in KK is the best too. They’re very good at it. The first time I had it was in the cloudy Inanam style (without soy sauce) and I was surprised at how good it was. The chilli sauce is very important too, a lot of proprietors have their own mix, kinda like Hainanese chicken rice. Oh, I don’t like the ones with salted veggies too – it’s too strong and you can’t taste the beef, like you mentioned. I like mine just plain and cloudy but this soy sauce one tastes good too, and they’re from Inanam as well. It looks good, don’t think I tried this before. They’re good at that, but their chicken offerings are dismal, have to go with the beef if you go. Oohh, my favourite !! “Ngau chap”.. I love those stuffs you mentioned – tendon, intestine, tripe and beef balls.. There’s a shop nearby my mum’s place, I forgot the name, also sells the best beef noodles in the world.. 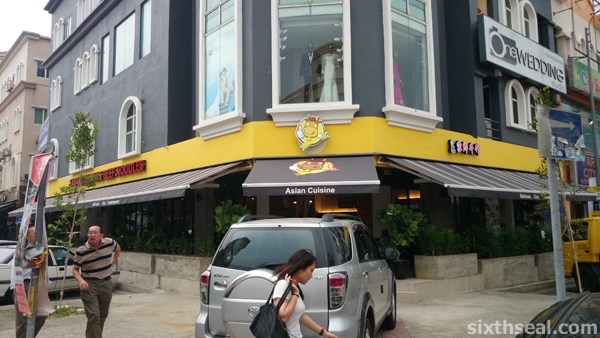 They are also selling beef ckt too.. 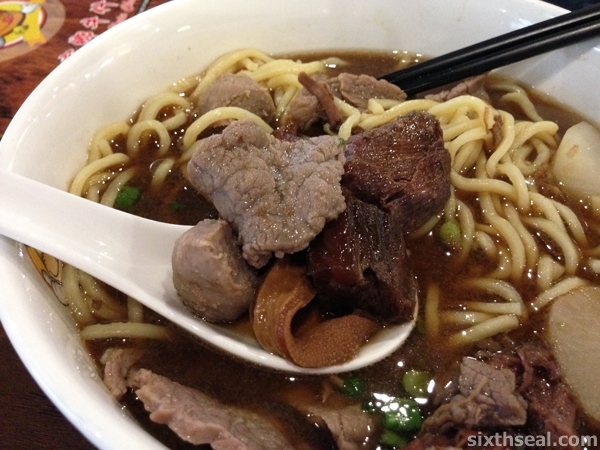 So I will always order a bowl of beef “chap” noodles, another bowl of “liew” only (tendons, tripe and beef balls), and another plate of beef ckt !! Yuummzz, biesssttt in the world! I like beef tongue too, both in soup and in sandwiches. Beef heart is a bit tough sometimes, but tripe, intestine and liver are some of my favorite offal. Haha! Yeah that sound delicious! Just order one soup with all the meat inside, you can do it here too, but it costs about the same as with the noodles (only RM 1-2 cheaper) since the expensive bit is the meat. I like this place coz it’s very generous with the cuts of brisket – a lot of other beef noodle places gives you a lot of offal but only 1-2 pieces of brisket, and small ones at that. This place gives you heaps of brisket! is this place new? never notice it! looks good. It’s been open a couple of months only – earlier this year, this lot was taken up by other shops so I’ve been looking to see what would come out of it. 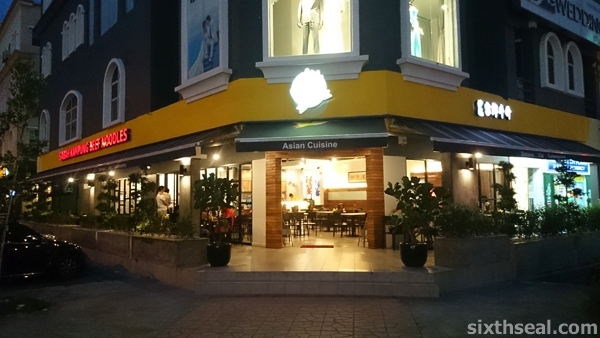 This area has a high turnover of F&B places – a popular chicken rice shop occupying a large corner lot closed down and a boutique (?) opened up in its place. 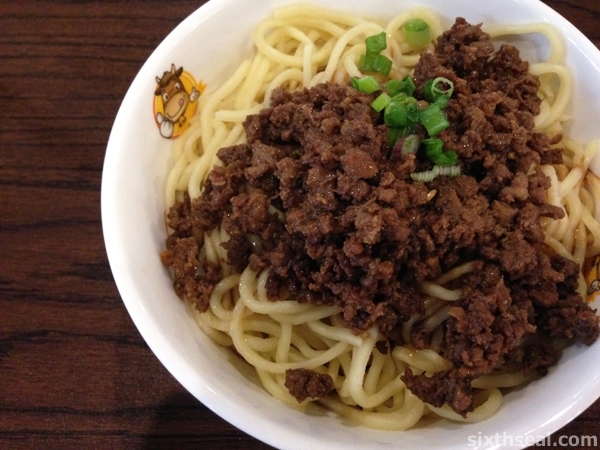 I love to eat beef noodle. 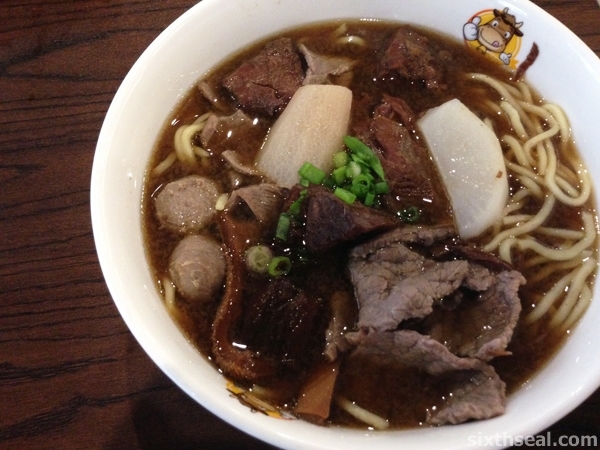 This one looks really good but I am more used to eating hor fun instead of the alkaline yellow mee with beef. Alkaline yellow noodles to me are meant for curry mee. 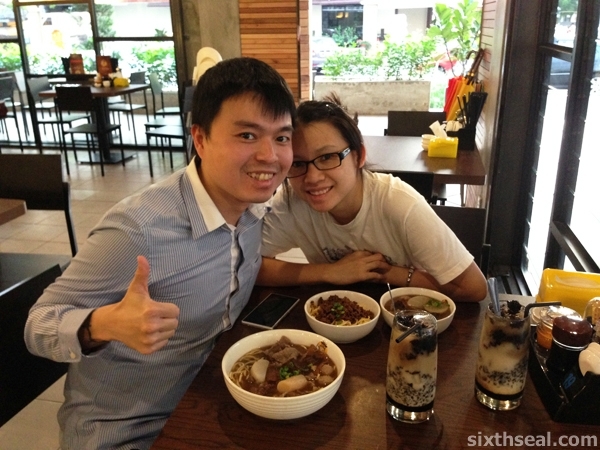 P/S Nice photo of you two as usual – so happy together! Haha! I guess it’s different in Sarawak – I honestly never ate much of hor fun until I came over here. 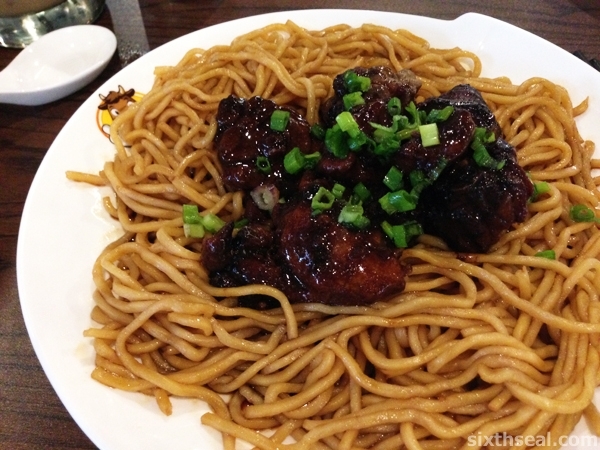 The yellow oily noodles are the popular ones over there (for dishes like these). I’m just used to eating that with beef noodles and that’s how I ate beef noodles in Inanam and KK too! I’ll go and try hor fun next time but since I didn’t grow up eating it (it’s also regional – I remember eating a few hor fun dishes in Kuching too), it just isn’t a first choice for me but I guess it’ll absorb the flavors and taste better eh? We shall check it out next time! Wow I love reading about this sort of thing. So glad to see you’re doing so well HB. You made it, man.